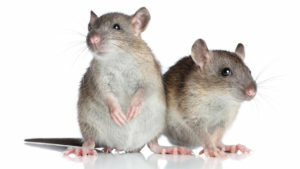 What Diseases Are Directly Transmitted by Rats and Mice? Rodents are annoying, destructive and major carriers of disease, which makes them a serious threat to health and property. 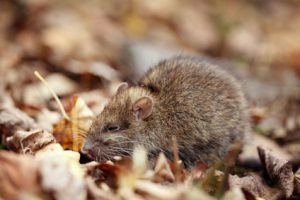 Our NJ pest control experts share information from the Centers for Disease Control and Prevention (CDC) about the more common diseases transmitted by mice and rats. HPS is a severe respiratory illness transmitted exclusively by rodents, primarily deer mice, which are the most abundant mammal in North America. Symptoms include fatigue, fever and muscle aches, progressing to coughing and shortness of breath. Roughly 50 percent of HPS patients also suffer abdominal distress such as vomiting and diarrhea. Leptospirosis is a bacterial infection spread through rodent urine, either directly or through food and water contamination. Some patients have no symptoms at all, while others may experience symptoms such as fever, chills and vomiting that can be mistaken for other diseases. As the name implies, fever is one of the predominant symptoms of RBF. Approximately half of patients also experience joint pain and rashes. RBF is usually transmitted through bites or scratches from infected rodents, but it can also spread through direct contact with urine and droppings or with contaminated surfaces. Our innovative rodent treatment program safely and effectively eliminates mice and rats from your home or business. Contact us for prompt assistance from our experienced technicians.